It would have been very tempting to spend loads of money with the vendors at the Brickish weekend, but I decided to be good and only acquired a handful of Minifigs. Looking back on things now, I realise I already have a Corn-on-the-Cob Guy. Ooops. I will have to keep a better eye on my inventory! But I couldn’t resist Bananaman, Donald and Daisy Duck, and the flag-wielding astronaut (it had to be done as we were at the National Space Centre). 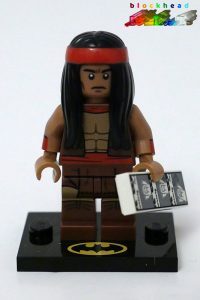 The regular minifig next to him was my prize from the Fairybricks Tombola. 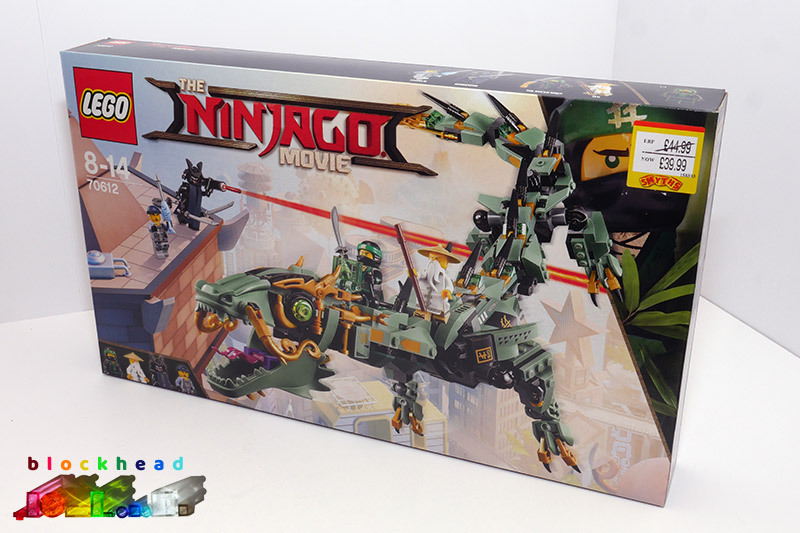 I popped into my local Smyths Toys today and noticed they had a fiver off the Green Ninja Mech Dragon (70612). I was weak and succumbed to the lure of all that lovely sand green and gold. 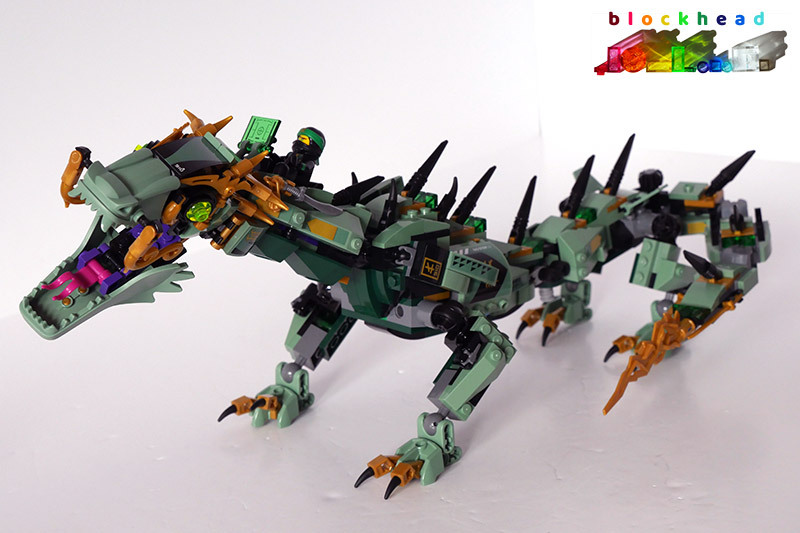 As I have mentioned before, I’m not a big fan of mecha in general but this dragon has a wonderful shape and lots of articulation in the tail – it can really swish it around! The joints are very flexible which leads to many realistic poses. I was also pleased with the 4 minifigs which came with the set, although only Lloyd wanted to pose with his fiery steed for this picture. I was stupid enough to drive to Ikea on a Friday afternoon yesterday, but I needed some things to help me organise and display my growing LEGO collection. 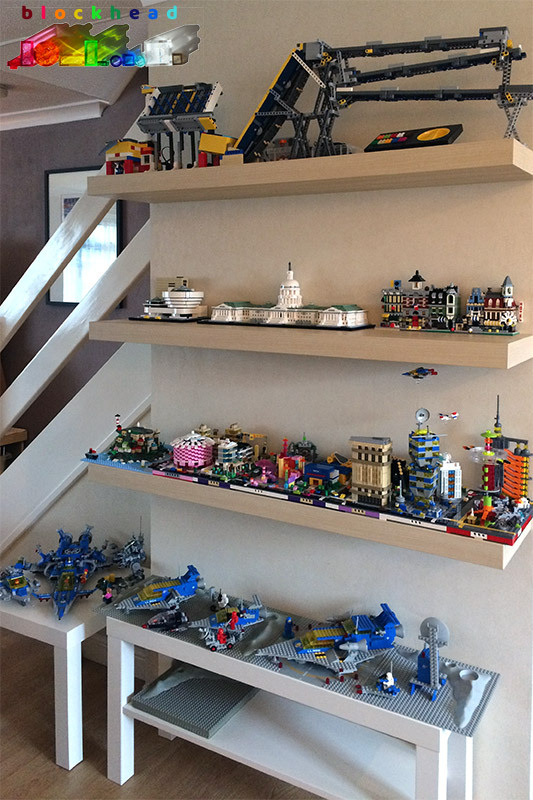 First of all, I bought three long LACK shelves and a TV bench to put along one wall to display my Micropolis and larger builds. I was pleased to put the shelves up nice and level, but there was a lot of drilling involved! 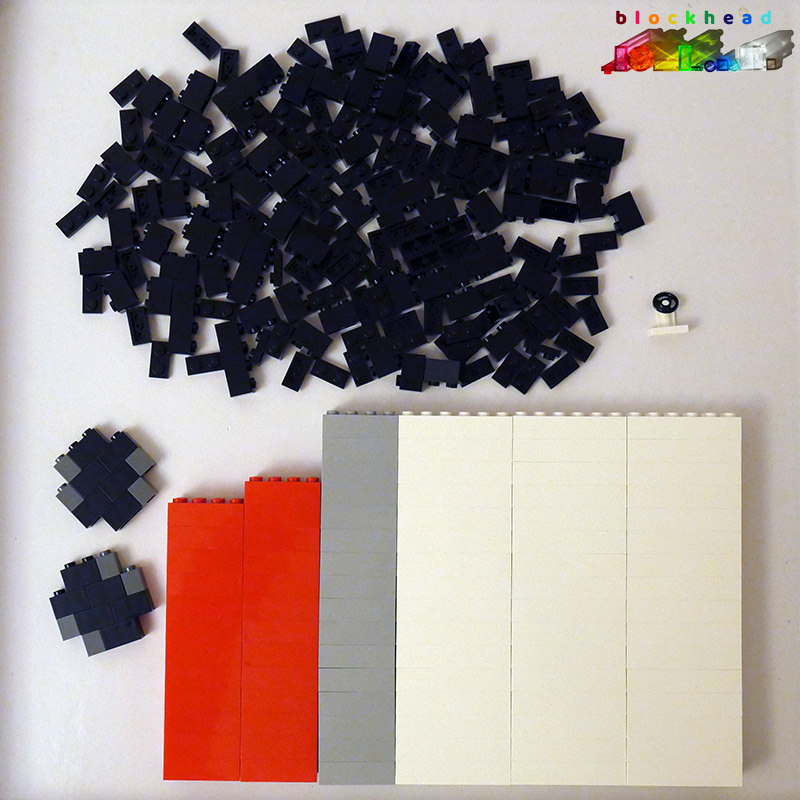 I had the 48×48 baseplate already, and simply pushed the black CMF display plates between the baseplate studs. 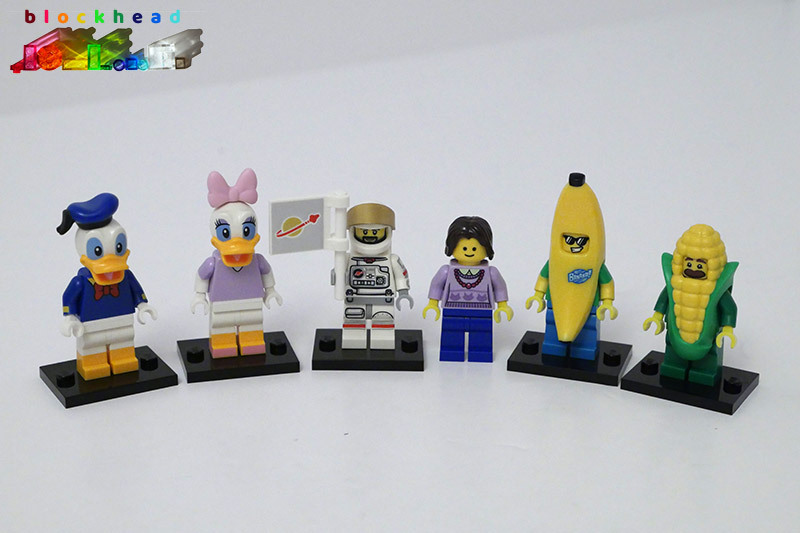 Perhaps it’s not a legal connection, but they fit nice and snugly and even with a heavy minifig attached, they show no sign of coming out in a hurry. 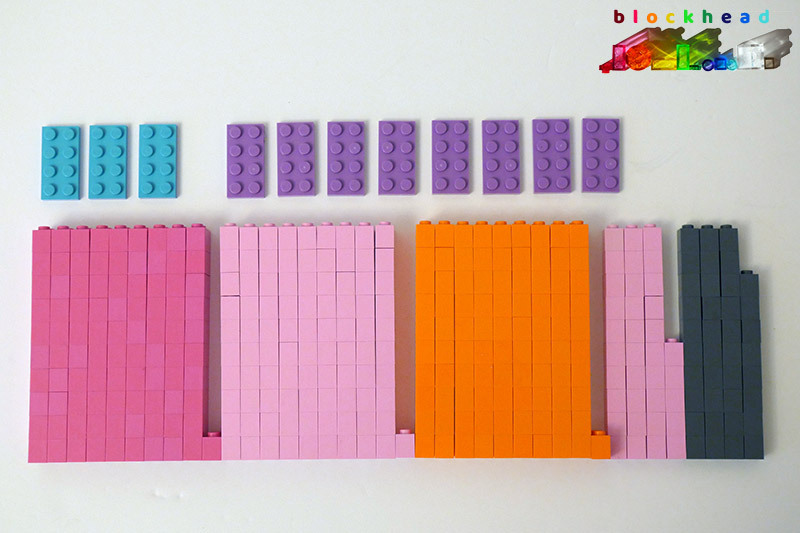 Then I chose some of my favourite CMFs and put them on their plates – and voila! It looks great hanging above the fireplace in the lounge. 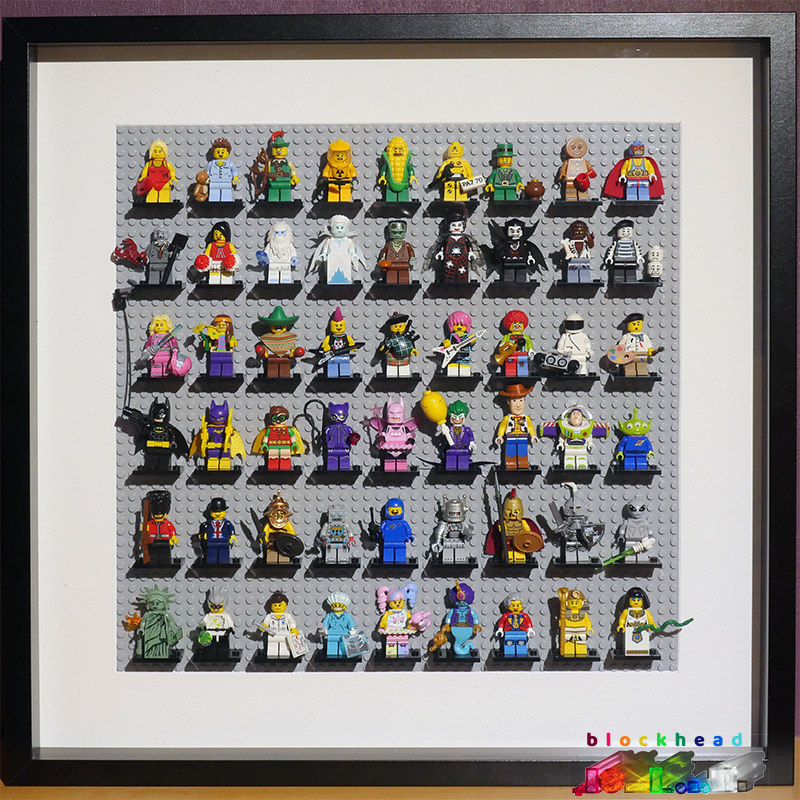 I probably have enough minifigs to do another one too, but I will need to buy another baseplate and frame before I can put that together. Wow, I had a very productive trip to the London AFOLs meetup yesterday! I came home with a huge haul. Before the meeting I went to the LEGO store at Westfield Shepherd’s Bush for the first time, and filled up at the PAB wall. 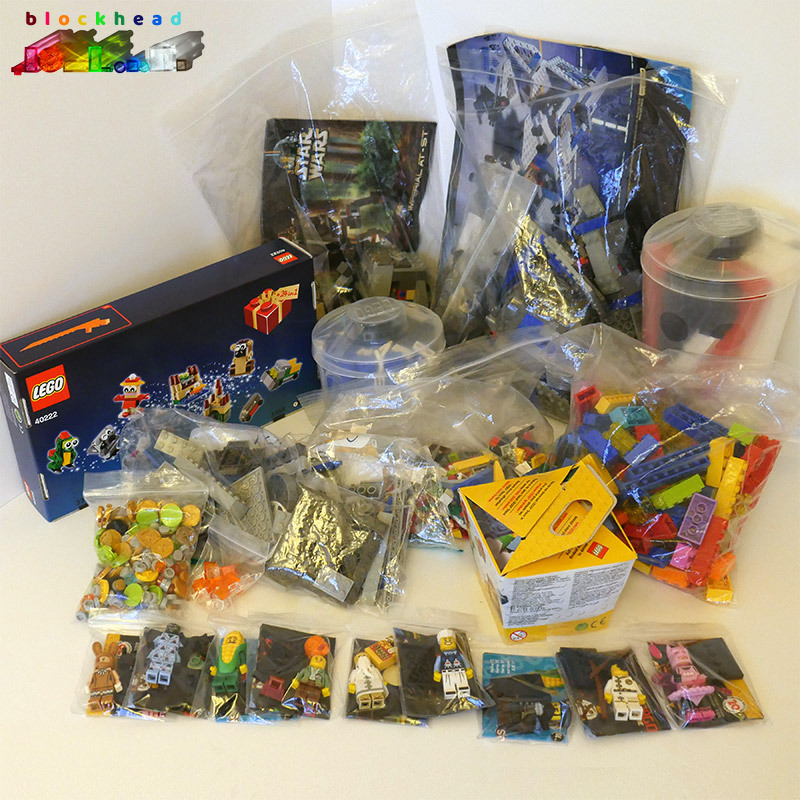 At the actual meeting I was able to collect a couple of old Star Wars sets I bought off a friend, swap my spare copy of Christmas Build Up 2017 for the 206 version, buy some CMFs I was missing and get three bags of exciting bits from a Bricklink Store owner who is closing down. 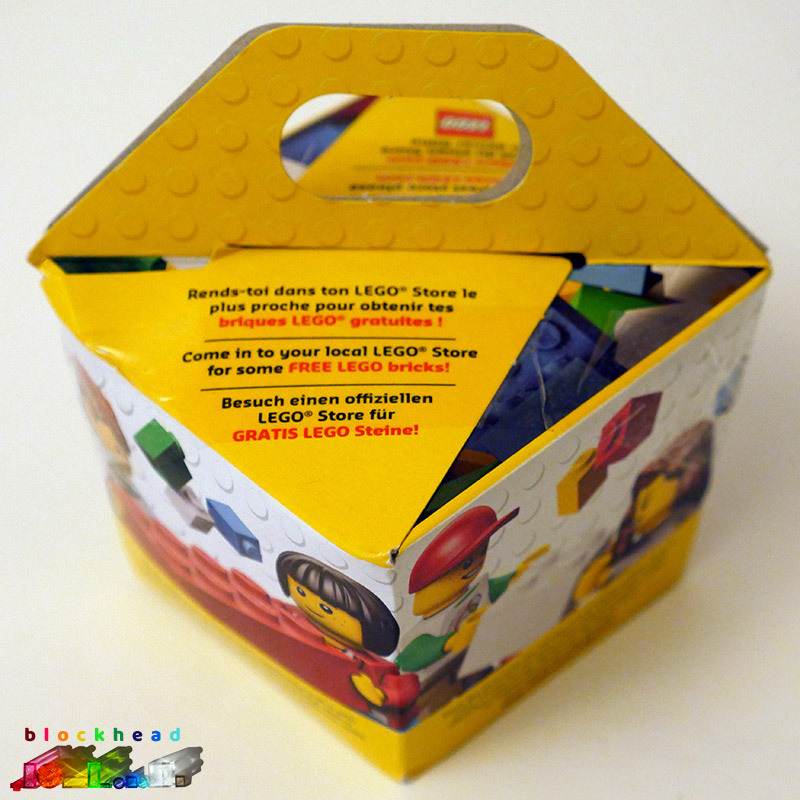 Starting off with the free brick box, which I got with purchases made on Boxing Day from S@H, it’s almost a cube, but basically I was able to fill it with whatever I liked for nothing! Sadly, not reusable though. It was a slightly awkward shape, but I stuffed it as full as I could. 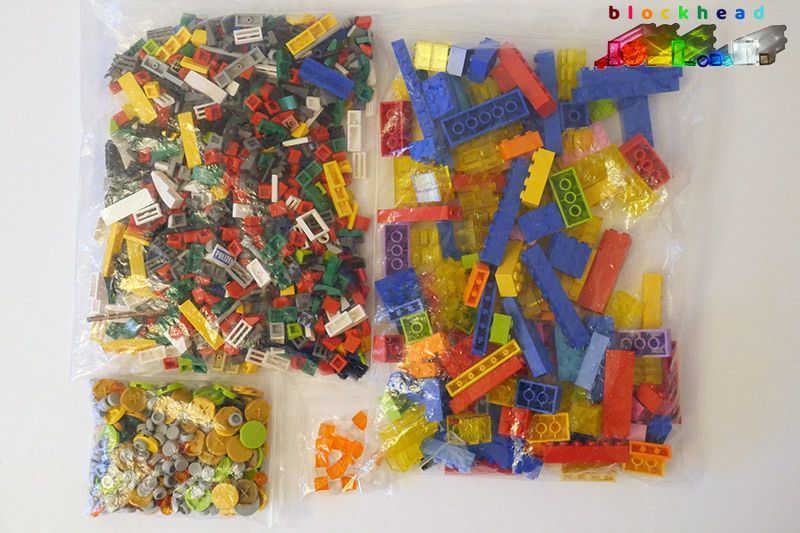 A very decent set of contents – mainly 1×2 and 1×1 bricks in bright colours. 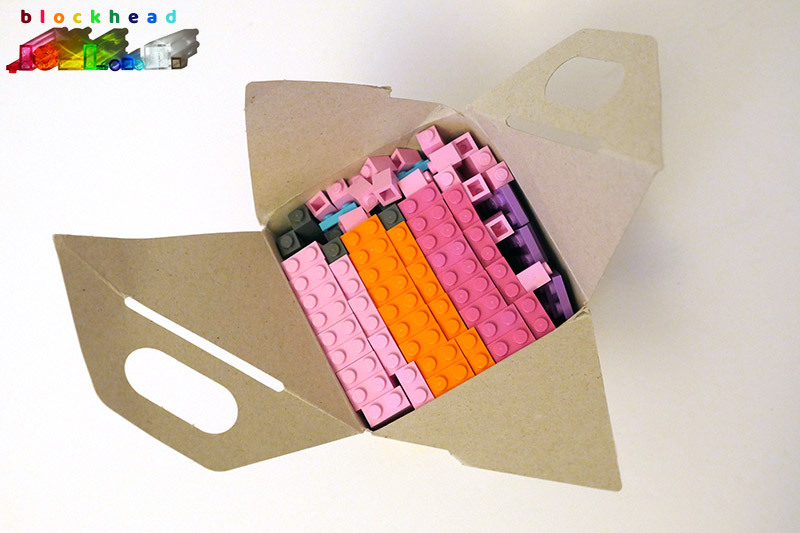 I can see some Micropolis builds being very colourful in the near future! 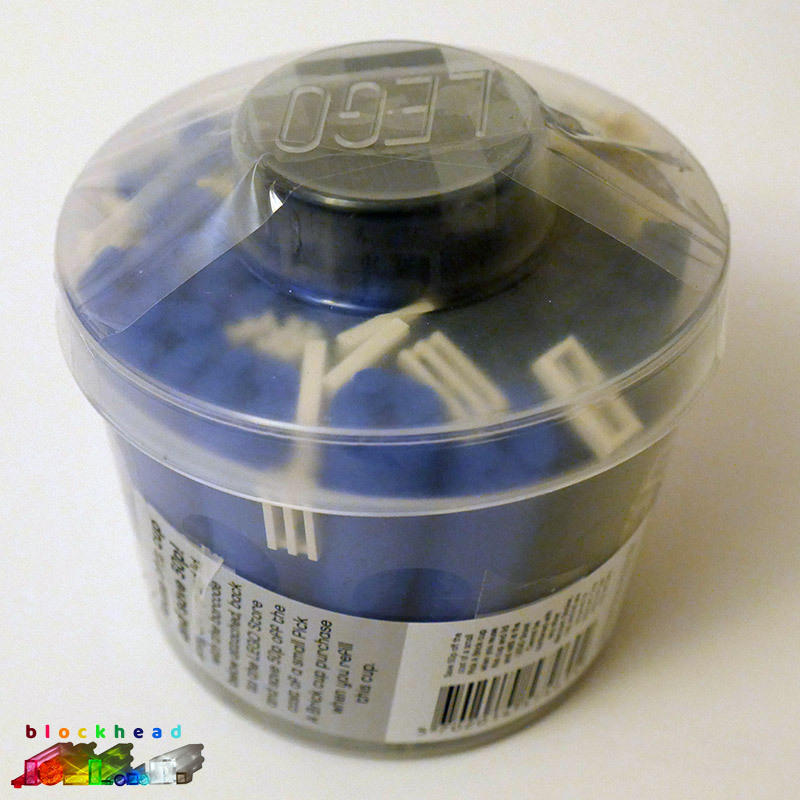 I have a project designed in LDD that I’m slowly gathering the parts for – and I needed a load of 2×2 round plates in blue, so I was delighted to find a stack of them in Shepherd’s Bush. I grabbed a load of 1×2 black bricks with the grill pattern as well as some miscellaneous plates and tiles. And now for the biggie – the lid was barely shut! LOTS more of those black 1×2 textured bricks, some rories and 2×6 bricks for Micropolis bases and – randomly – a steering wheel from somewhere! 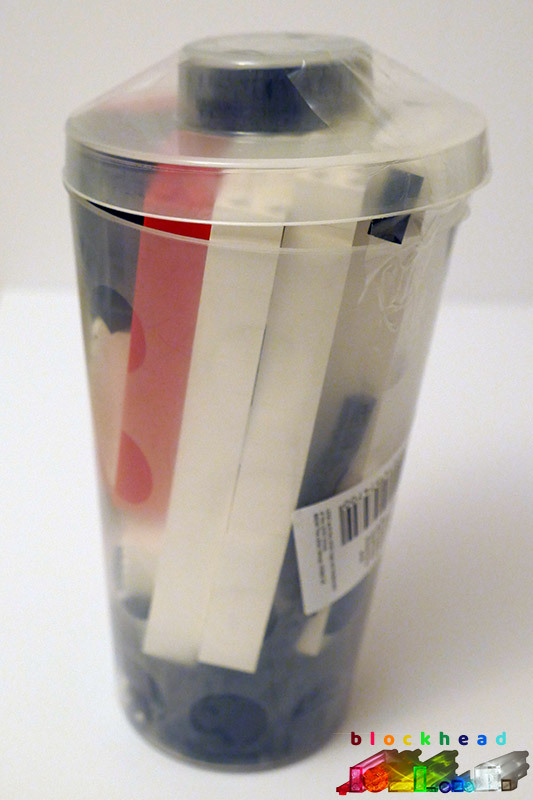 I don’t remember picking that up… Do you like my inserts for the cup lid studs? They jam in perfectly and will give me another twelve 1×2 and eight 1×1 bricks in each. Perhaps the most pleasing haul of the evening was this little lot – a guy had turned up at the meeting with a holdall full of loose bricks in ziplock bags. We were encouraged to have a rummage as he “wanted to get rid of all of it”. Apparently he had a Bricklink store which he wanted to close and this was a way of offloading the remaining stock. 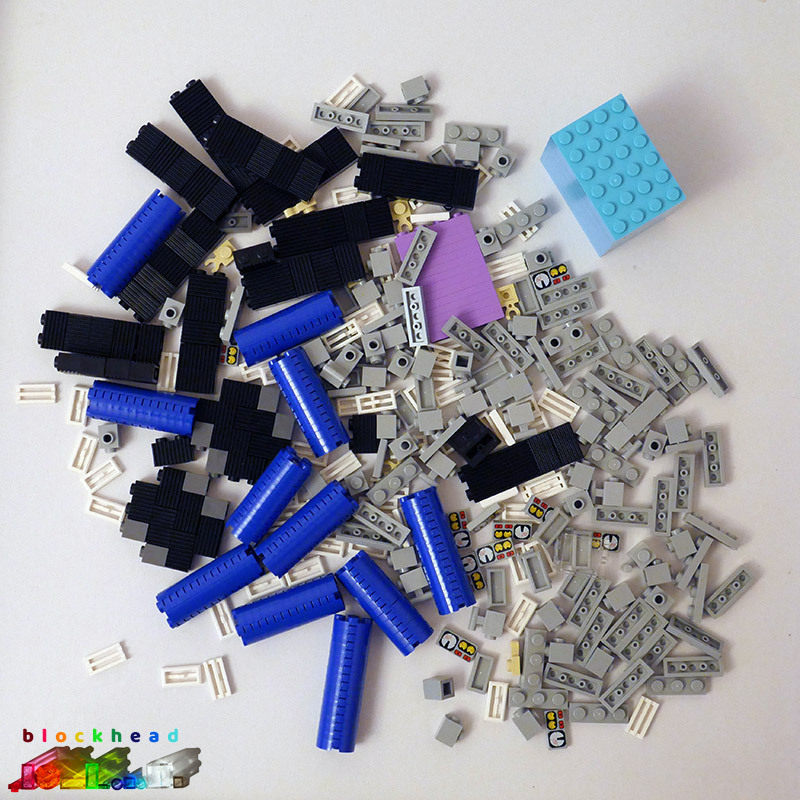 Bricklink Store “Closing Down Sale”!